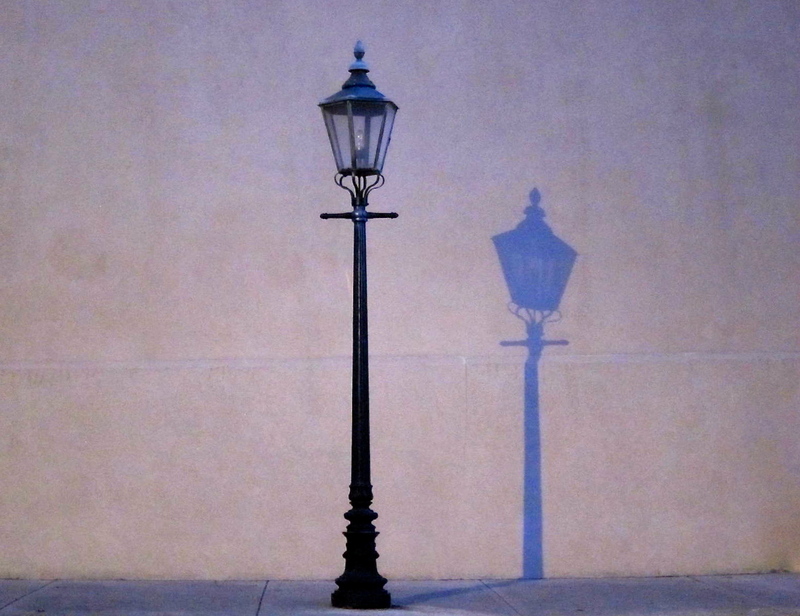 Thanks to the shadow of a rising sun, this lamppost had its own mini-me. ← Frightening Fashion Friday: Ball? What Ball?